In spite of the best efforts of dozens of tech companies, physical wallets aren’t dead yet. Cash and plastic debit cards still rule our transactions — not NFC-based mobile payments with Apple Pay, Android Pay, or even Samsung Pay — but if MasterCard has it’s way, that may not be true for too long. 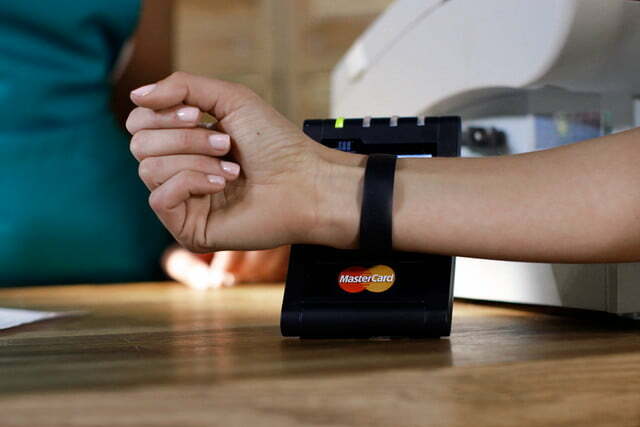 In 2016, MasterCard will unleash a torrent of connected things that can all make secure mobile payments without the help of your phone or debit card. Cruising through the drive thru at McDonald’s? Your car will one day pay the bill for you — you can just grab your burger and go. Going for a run and want to grab a coffee on your way home? Forget the wallet — your hoodie will pay. Any connected object can be turned into a secure payment device. 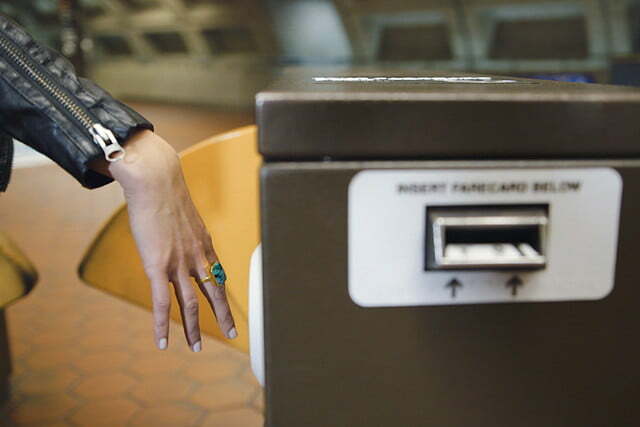 The world MasterCard imagines for us has no cards, cash, wallet, or fuss. And the best part is, it’s not dependent on a specific operating system, device, or phone — MasterCard wants to put its payment tech in everything — literally everything. They believe the Internet of Things can also enable regular, everyday items to make payments, and it’s coming in 2016. To get people excited about the possibilities, it has rounded up a bunch of partners from multiple industries to illustrate how it can be done, and is showcasing them at the Money 20/20 conference in Las Vegas. Well-known designer Adam Selman made an experimental collection of accessories and clothing, General Motors made a special key fob, Nymi offered up its band that authenticates users’ pulse for security, TrackR updated its Bluetooth key finder gadget, and Ringly pimped out its smart ring to work with MasterCard’s cool payment tech. To turn a key fob, smart ring, handbag, and wristband into payment devices, MasterCard’s partners worked with Qualcomm and NXP — the company behind the push for Near Field Communication (NFC) technology, which powers Apple Pay, Android Pay, and other mobile payment systems. 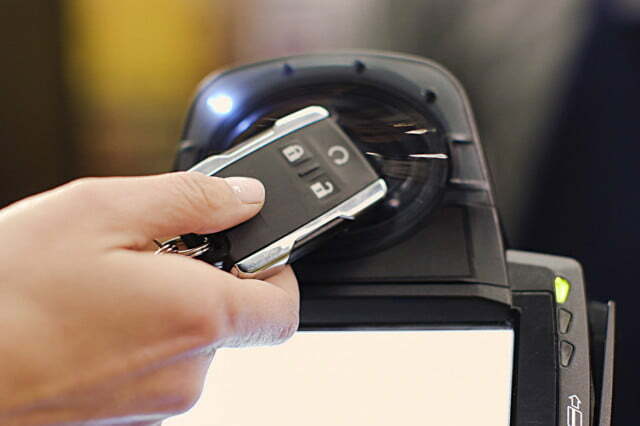 Once the connected devices have NFC chips inside, you can use them to pay for anything at retail locations that support NFC payments. Of course, as with Apple Pay and other NFC-based payment systems, the main obstacle to making mobile payments available to everyone is the lack of retailer support. However, the tide is turning for NFC, and more retailers are now accepting the technology than ever before, thanks in part to the recent rise of EMV-secured credit cards (the “chip card” standard invented by Europay, MasterCard, and Visa) in the United States. A February 2015 report from Berg Insights stated that 75 percent of new payment terminals in the U.S. shipped with NFC technology onboard. Although the exact number of stores that support NFC mobile payments is unknown, Apple boasted in March that 700,000 U.S. stores support Apple Pay, which is powered by NFC, and that number has grown since. The security behind the payment-enabled devices comes from the MasterCard Digital Enablement Service (MDES) and the Digital Enablement Express (Express) program. Using the framework laid out in these two programs, any connected object can be turned into a secure payment device. “The goal is for the transition to digital to be more secure than plastic cards,” Haymond said. MDES uses tokenization to ensure that every payment meets the industry standard of EMV-level security. The token replaces your account number with a random number each time you pay, so that the merchant never sees your actual number. Tokens offer an extra layer of security to help prevent hackers from getting access to your bank account. Only MasterCard can unlock the cryptographic keys, so the any stolen data is useless. Tokenization is the same tech used by Apple Pay, Android Pay, and other popular forms of mobile payments. However, while those mobile payment services are limited to a few devices that run specific operating systems, MasterCard’s new prototypes are OS agnostic. If you have a payment-enabled Ringly, Nymi band, Adam Selman purse, Trackr button, or GM key fob, it won’t matter whether you own an iPhone, Android phone, or Windows Phone — you’ll be able to pay on the go without a wallet, plastic credit card, or cash. MasterCard is quick to point out that these prototypes are just the beginning. Now that the word is out, it expects to hear from more companies that are interested in getting into the early testing program. “Who knows what will come from creative minds in the future?” Haymond said. Indeed, the sky seems to be the limit, assuming the gospel of mobile payments — and the NFC technology that powers it — spreads around the world.